Made from 12 light frames (captured with a (null) camera) by Starry Landscape Stacker 1.5.1. 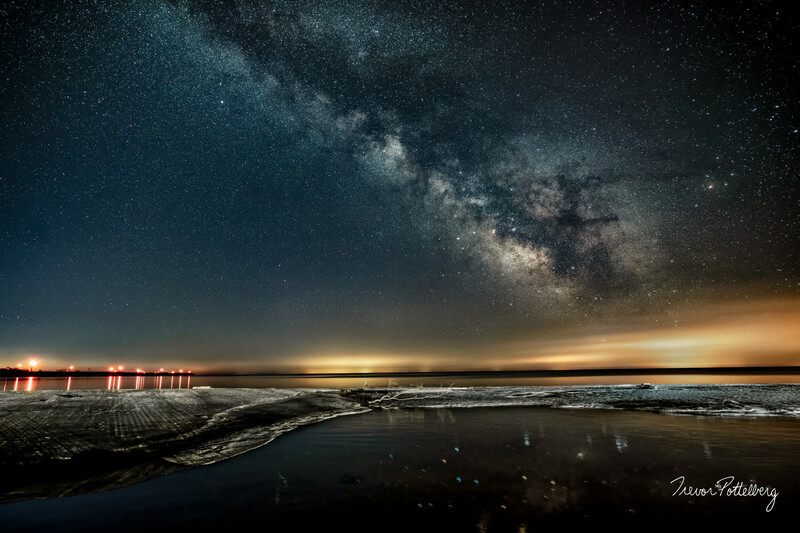 "The Return" by Trevor Pottelberg, features the spring Milky Way core making it's triumphant return after being hidden away from view during the winter months. City glow from the United States hovers over the horizon as light from the nearby windmills and distant stars reflect in Lake Erie.